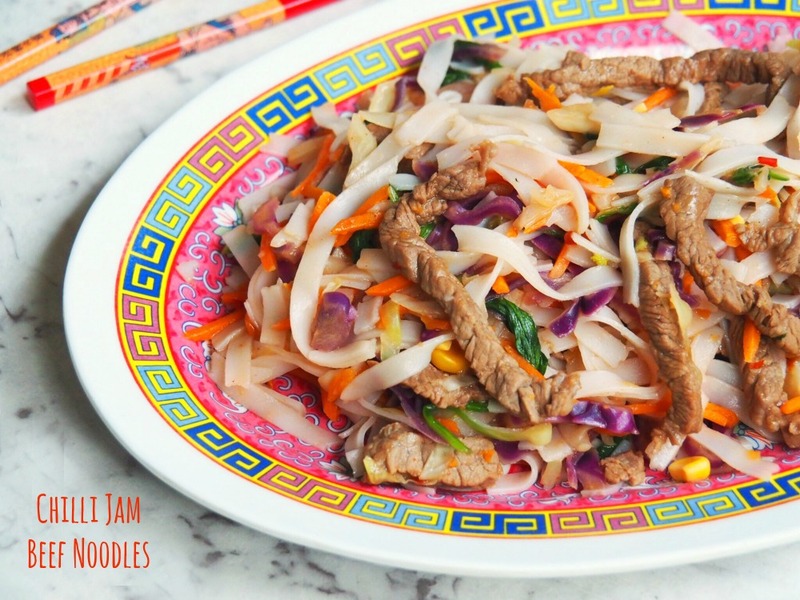 Chilli jam is the hero of this fast and fabulous stir fry and look only 4 ingredients! 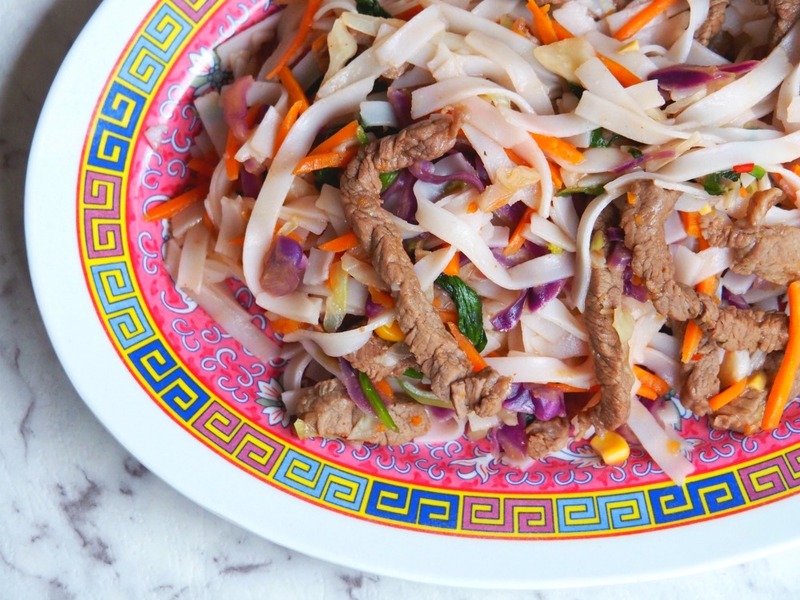 This stir fry is super quick, super colourful and super tasty. Chilli jam can be found at speciality grocers and Asian food stores and the heat can really vary from brand to brand. We use this chilli jam which is really mild so I tend to be very heavy handed but if yours is super spicy, remember less is more! The thing I love about this dish is that it’s fast, fresh and full of flavour and you can have it from wok to table in just under 20 minutes. What’s not to love about that? Do you think spicy is nicey? What’s your favourite stir fry? Place noodles in large heatproof bowl, cover with boiling water and soak according to packet instructions. Drain well when tender. Meanwhile, combine beef and half the chilli jam in medium bowl. 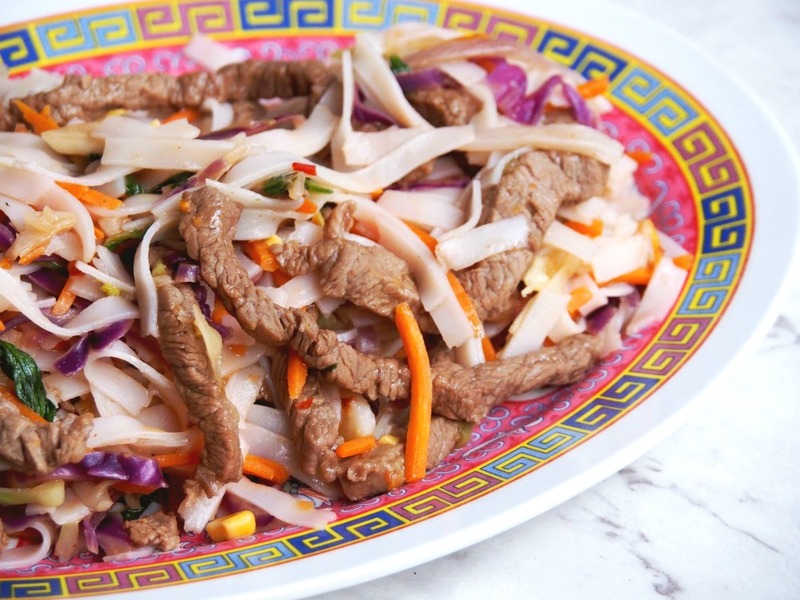 In a heated oiled wok, stir-fry the beef in batches until browned and then remover from the wok and set aside. Add vegetables to wok and stir-fry until tender. 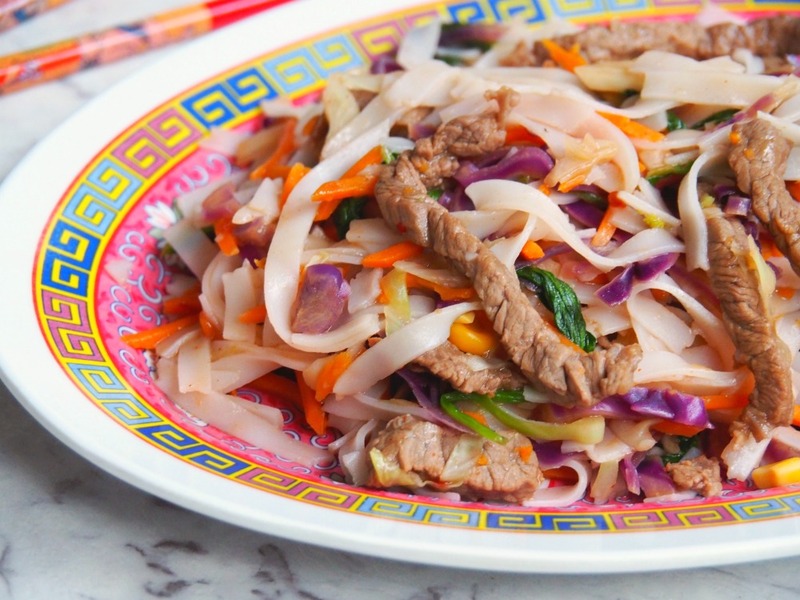 Return the beef to wok with noodles, 1/4 cup (60ml) fresh water and remaining chilli jam and stir-fry until hot. Season to taste and serve.